Are you looking forward to the Fordhall Beer Festival & Summer Fair? …….Because we certainly are! There is not long to go until Fordhall farm host our fantastic Beer Festival & Summer Fair and we have got so much going on! We have got so many fantastic things going on that I really don’t know where to start! On Sunday, as part of Open Farm Sunday, the fantastic beer festival continues but is joined by our annual Summer Fair that is bigger and better this year! 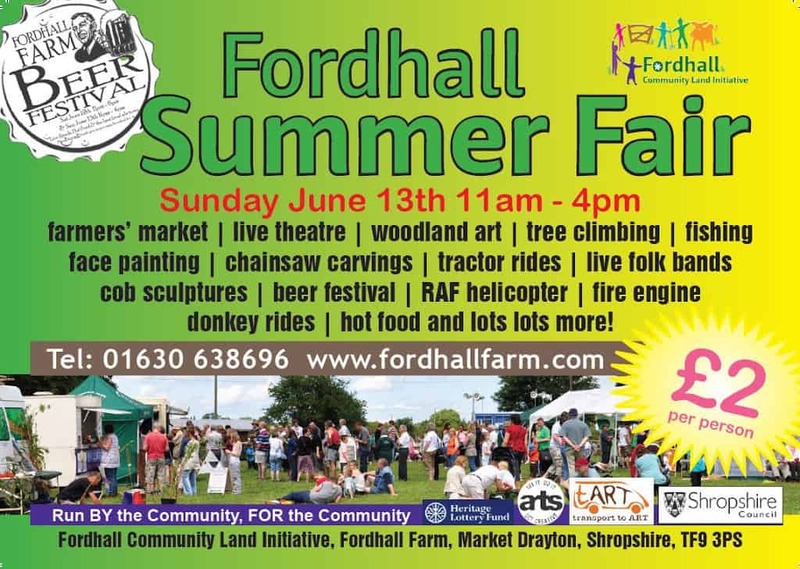 Attractions include a great Farmers’ Market, live theatre, woodland art, tree climbing, fishing, face painting, chainsaw carvings, tractor rides, RAF helicopter, hog roast and much, much more! Don’t miss out! (Entrance to both days is just £2) We hope to see you there as we are raising money in order to renovate some of the buildings on the farm. So please help us to spread the word as much as possible!